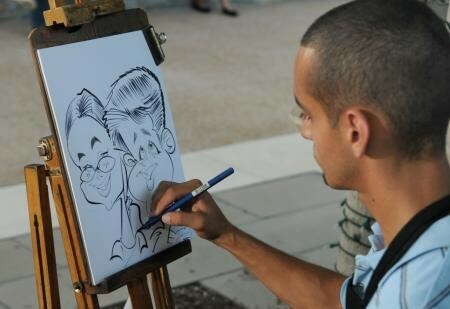 Guests will be posing for fame when our Caricature Artists set up at your event! Sketching unique pieces of art provides a great take-away for your attendees to remember your event. Our artists can provide services from modern portrait-like renditions to greatly exaggerated and stylized images. Orlando Caricaturist. Our caricaturists can provide services from modern portrait-like renditions to greatly exaggerated and stylized images.